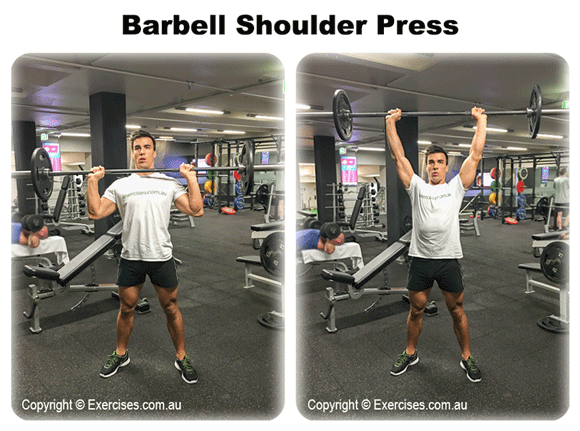 Barbell shoulder press is a compound exercise that targets your deltoids/shoulders. It’s an excellent mass and strength builder to start off any good shoulder routine. Stand in front of a barbell loaded with an appropriate weight. Pickup the bar and sit it until it’s sitting just above your shoulders, hands facing up. Be sure to inhale during this part of the movement. Press the barbell up and overhead. Exhale at the end of this movement. Repeat. 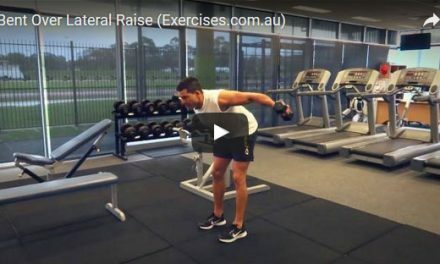 For muscle gain, avoiding lock out at the top of the movement will increase time under tension and may help you perform more reps while easing the pressure off the joints. Keep the bar close to the body to maintain center of gravity.